MAKING LEATHER KNIFE SHEATHS, VOLUME 2, Welted Sheaths Step By Step. by David Holter. Spiral bound, 6�x9�, 144 pages. From basic leatherworking techniques to the professional-level tips you need to make your project its best, this how-to book will walk you through the steps to produce two top quality welted sheath designs: a welted sheath with attached belt loop, and one with belt clip and protective strap. Each part of the process, from making the first sketch to completing the final leather treatment, is explained in detail, with extensive step-by-step color photographs and templates. 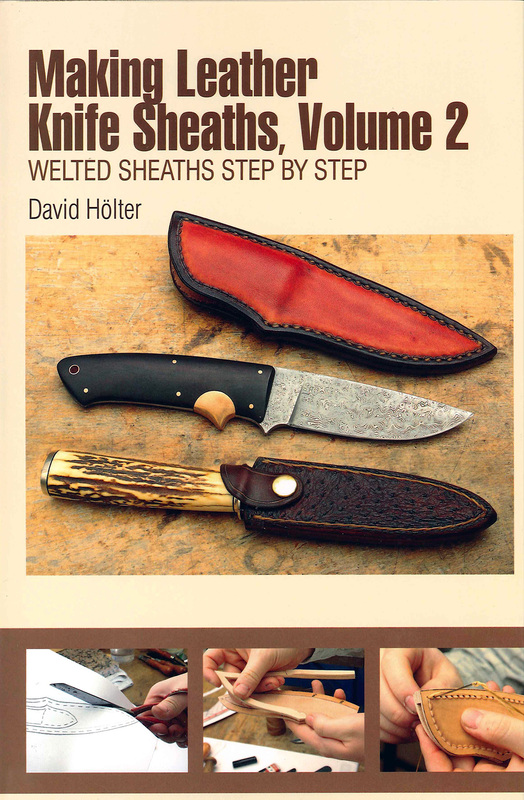 A general introduction to sheath making, basic information about tools, and a glossary of technical terms are also included.